The successful investor is also a marquee speaker; he is already on the advisory board and will be looking for investment opportunities. 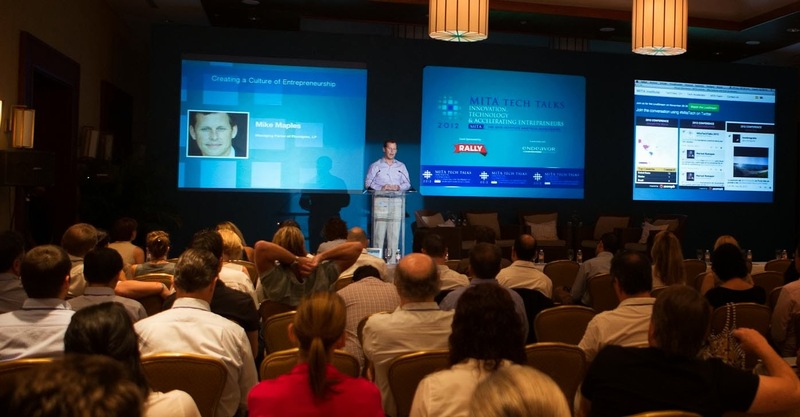 In response to his very successful participation in the MITA TechTalks 2012, organized by the MITA Institute, Mike Maples is once again invited as a marquee speaker for 2013. He is also on the advisory board of a new capital fund organized by the founders of the MITA Institute and will be on the lookout for new investment opportunities. Maples is one of the first investors in Twitter and founder of the “Angel Investor” fund, Floodgate, located in Silicon Valley, California. Lynne Bairstow, founding partner and director of MITA Institute, commented that MITA’s association with Maples would attract international attention and recognition to the Riviera Nayarit region, with a focus on the development of innovative technologies. She commented the TechTalks include not only work sessions, but also a variety of recreational and social activities that spotlight the beauty and attractions of Punta Mita and the Riviera Nayarit. “The 2012 event was also streamed live on the Internet on a worldwide level, which offered an unprecedented reach for the promotion of the Riviera Nayarit as an important player in the development of tech innovation in Mexico, as well as a great destination for conferences and vacations,” added Bairstow. She also thanked the Riviera Nayarit Convention and Visitors Bureau and all of the attendees that made the event possible, many of who have returned to visit the destination after the TechTalks ended. The tech industry is the only one that has presented gains both before and during the current global crisis. The MITA TechTalks 2013 will take place November 18-21 in Punta Mita.